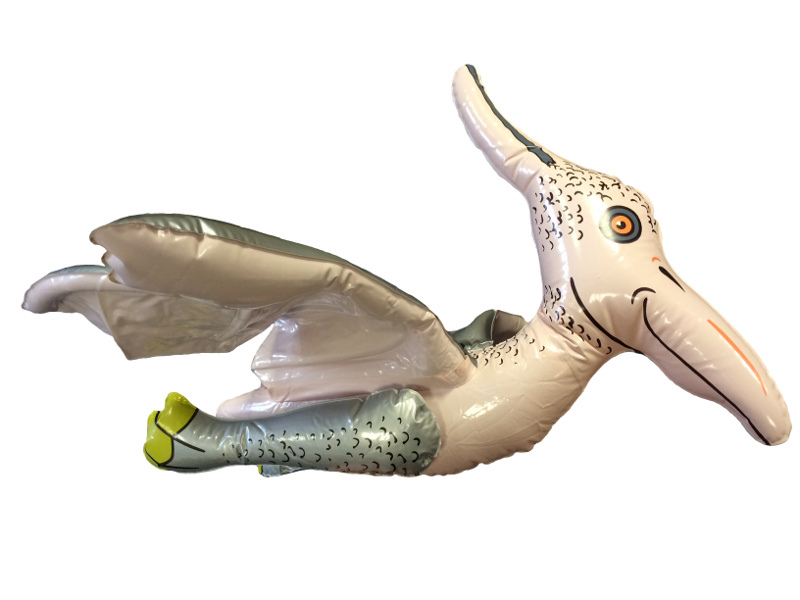 These Inflatable Pterodactyl Dinosaur Toys are great for a kids dinosaur themed party. With a wingspan measuring 28 inches, they are a fantastic decoration for a dinosaur themed event or kids bedroom. The inflatable dinosaur includes a small plastic loop on the top of the body so that they can be hanged with string. All parts of the pterodactyl inflate, including the legs and wings. With the latest Jurassic Park movie out, all our inflatable dinosaurs are a big hit with the kids! Pterodactyl Dinosaur Inflatable Measures 28 Inches across the wingspan.